Welcome to Ford40.com (or Ford 4L or Ford 4.0, whatever you want to call it.) I've been driving a 4.0 V6 OHV equipped Ranger for 10 years now and am very surprised at how little info there is on the net for this engine/vehicle combination. So I put up this site to let others know what I've learned. In those 10 years, I've also made some mods to my Ranger that would be good for any Ranger, Explorer or SportTrac with the 4L V6 engine, and I've included them as well. Hesitation, sputtering, etc. - HOT! Air Box Mod for 10hp - HOT! Stealth: Avoiding unplanned meetings with Officer Friendly. I bought the PVC fittings here. I bought some flex PVC pipe here. I bought my clone golf clubs here. I bought the headers & MAS here. I bought my truck tires here. So what is this Tea Party thing all about? Guess what, it's not what you've been told. Find out in the links below. 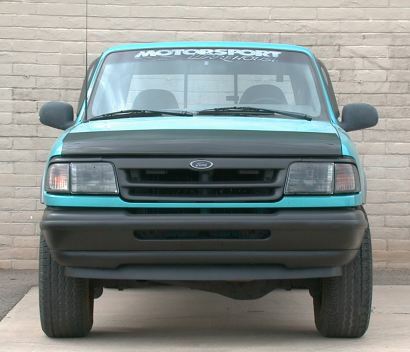 Thanks for visiting ford40.com, home of Stealth Ranger.